Sterling Silver. 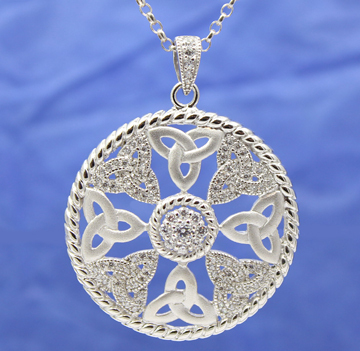 Rope trim pendant with alternating matte silver and Cubic Zirconia set trinity knots. Made in Ireland. 1 1/4" diameter on 18" chain.